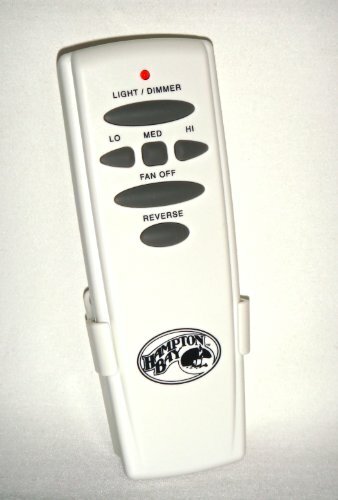 Q: will it work any hampton bay fan without adding any extra hardware. Q: Does this work with other brands of fans? Is your Hampton Bay ceiling fan turning on and off by itself? Or, you might have another brand of ceiling fan that is doing this. This can be happening because of the frequency on your fan is set to the same frequency as someone else’s close to your home. For instance, your neighbour could have a different ceiling fan than yours, but the frequency may be the same on the remote. Your remote has to be set to the same frequency as your fan. Fan and remote frequencies are set to one another using dip switches. The first thing you should change when you start to have problems with your fan doing things on its own, is change the batteries in the remote. The batteries could be low and the fan might not be functioning properly. If you have some batteries in the home, check for them and try switching the batteries first. The next thing you should check is the dip switches on the remote as well as the fan. Try changing the dip switches. You can find the dip switches on the back of the remote and inside the fan, under the fan housing. The dip switches have to be set the same way on the fan as they are on the remote. You should change however they are set to prevent the fan being controlled by another person with a remote, since you are having those issues. 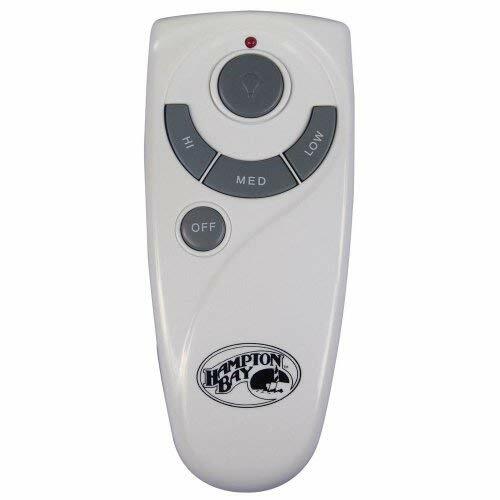 Once the dip switches are set differently the fan, should not be able to be controled by another person with a remote as the dip switches on their remote will no longer be the same as your fan or remote. Often times we get asked by our site visitors – so how can I get support for my ceiling fan? Hampton Bay is actually owned by Home Depot, as you may know. To get help or support, you can contact the Hampton Bay Lighting Company. Customer service and support is available Monday to Friday, from 8 AM until 6 PM Eastern Time. The customer support line is not open on weekends. You can call this number if you need support for fans, flooring, cabinets, patio sets or any product that Hampton Bay manufactures.